What?! Me Handle a Crisis? MANP’s Board Boot Camps offer essential training for new and experienced board members, providing them with practical information, resources and tools that they can put to use right away to further their organizations’ missions. Board Boot Camp is offered each Spring and Fall. Do you ever worry about whether the board you’re on is covering all of its bases – or whether there’s some outstanding risk or liability that you’ve overlooked? This workshop will provide participants with a working understanding of the legal, fiduciary and governance obligations of nonprofit boards of directors. Attendees will gain clarity regarding the “must do” and “should do” tasks that every board faces and acquire strategies for engaging current and potential new board members in sharing the workload. Everyone will leave with an action plan for increasing the effectiveness of their board and heightened confidence regarding nonprofit board governance in an increasingly complex environment. Registration includes a complimentary copy of MANP’s Board Basics Handbook or MANP’s Keys to Successful Board Recruitment. Immediately following Board Boot Camp, anyone and everyone is invited to attend the MANP Presque Isle Mixer from 4pm-6pm around the corner at the Irish Setter Pub! For this event, The Hampton Inn, Presque Isle is offering a discounted room rate of $122 for single occupancy, and $132 for double occupancy. Please call the hotel directly at 207-760-9292 and reference the “Maine Association of Nonprofits room block” when making your reservation. Please note: this hotel sells out every week of the year during week days, therefore early booking is advised. Mike Hyde offers more than 40 years’ experience in nonprofit management to clients of Starboard Leadership Consulting. Mike’s expertise includes board relations, strategic planning, fundraising, communications, and government affairs. He has assisted boards to restructure themselves and to adopt best governance practices. He has guided organizations, large and small, through the strategic planning process, and along the way he has raised more than $350 million in support of those plans for the institutions he has represented. Mike came to Starboard from The Jackson Laboratory in Bar Harbor, Maine, where he served as Vice President for External Affairs and Strategic partnerships. In this role he helped to build an understanding of the Laboratory and its programs among key constituencies and represented the organization in policy discussions at various levels of government. He secured the approval of the Connecticut legislature for a $291 million expansion of the Laboratory into that state. He also managed the reorganization of the board of trustees and reshaped the Lab’s branding and communications programs. 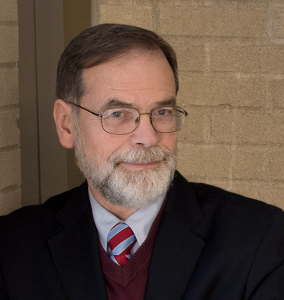 Before joining the Laboratory in 2006, Mike served in senior management positions at Oberlin College, Allegheny College, and Alfred University. He holds undergraduate and graduate degrees from the University of Missouri, Columbia. Mike has served as a member of the Board of the Maine Biomedical Research Coalition and as a member of the Maine State Chamber of Commerce. He is currently a member of the Board of Visitors of the University of Southern Maine. He and his wife Vivian live in Trenton, Maine. They have three grown children.